Rt.# 33E from Chocowinity, NC to Clay Bottom Rd. to Cotton Patch, to Crisp Landing Rd. During this years 2 heavy snow storms, our bird feeders had many different species of birds to flock into our backyard. 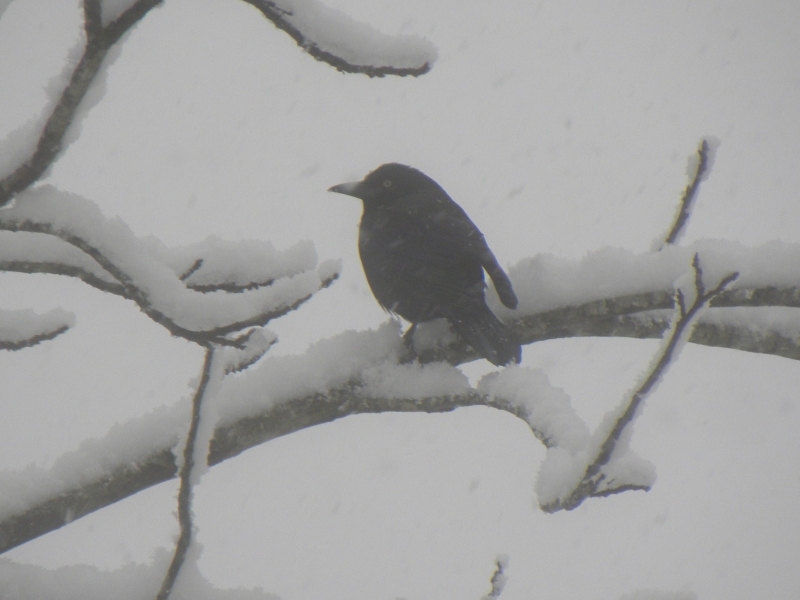 Grackle on Snowy tree limb.